A lot has been written in the last few days about what makes a good woman leader. Those discussions have been within the context of the political arena, which is not too surprising because the Speaker of the House of Representatives is a powerful woman, and the roster of persons announcing to run for POTUS in 2020 is full of powerful women. So we have read here how Amy Klobuchar, Senator from Minnesota and proclaimed presidential candidate, is perceived by some of her staff as “not nice” and even “mean.” And today we read here that Nancy Pelosi, Speaker of the House, uses her experience as the mother of five and grandmother of nine to guide her in keeping the House of Representatives and her caucus moving forward, deal successfully with divergent opinions, build consensus, and avoid chaos among elected officials. 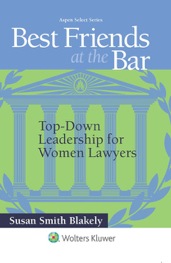 Reading these articles will be very helpful to you in fashioning yourselves as effective female leaders. I don’t just know that from reading the articles myself, but I know that from my own experiences as a mother, as a chief of staff for an elected official, and as a trial lawyer. Those experiences have a lot in common. Those experiences taught me that you should not always want to be liked. You should not need to have everyone think you are nice. It is not necessary to make a friend out of everyone. Sometimes it has to be enough to get the job done well. If I had wanted to be a friend to my children and always be perceived as being nice, I would have very different children today than the ones I have, who learned to buck adversity and plow through challenges. 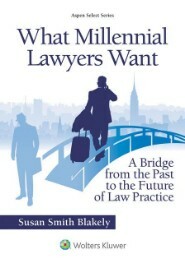 I would have very different children today than the two young lawyers, who make me proud every day of my life. 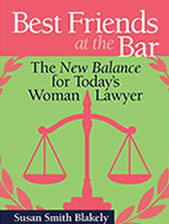 As a trial lawyer, I had to carry on before judges, who I knew did not accept my presence in the courtroom and probably did not like me. They surely did not approve of me. 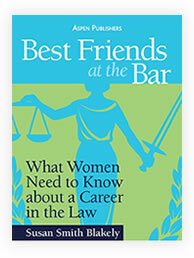 The early 1980’s were a lot different for women lawyers than current times. Judges called me “little girl” — even a federal judge — and, after a week’s trial, the judge still only referred to me as “she” and “her.” No place for “counselor” for the women lawyers in his courtroom. But, that could not matter to me. I was not in that courtroom to be liked. I was in that courtroom to make my case. End of story. Creating the best possible product, whether it was a letter, a public policy piece, proposed legislation, or a television show, was what my job was all about. I hoped that the people I managed saw it that way, but if they did not, it could not concern me. There is plenty for me to look back on and know that I did a fine job, the staff acquired improved skills, the boss got re-elected, and I did not step too far outside the bounds of being a nice person most of the time. So, I can only imagine that a lot of what the staffs of really powerful women — like Amy Klobuchar and Nancy Pelosi — have to say about them derives from the frustration of being on the other end of agendas that they may not understand. Agendas to do the best for the most. Anyway, that is the way I see it.